Amusement park is the happiest and enjoyable places in many people memories especially in our childhood memories. This places are full of fun and joy that makes everyone had a great time spending here. Families, friends or couples experience a good and happiness bonding time in amusement park. So, let as find out the best amusement park in Taiwan. Leo foo Village Theme Park is a theme park with a safari located in Guanxi Township, Hsinchu district, Taiwan. It features three roller coasters, including an inverted shuttle coaster, Screaming Condor, an Intamin twist-and-turn coaster dubbed Sahara Twist, as well as a Vekoma Roller Skater (335m) in the Wild West section of the park, Little Rattler, themed to an old mining railway. There is also the Nairobi Express, a 2 ft. (610 mm)narrow gauge railway built by Severn Lamb. The park features many other attractions of different styles and proper themed areas. These theme area includes Arabian Kingdom, Africa Safari, South Pacific and Wild West. Arabian Kingdom is an adventure–magical themed area, featuring attractions such as the Ring of Fire, spinning riders on the inside of a large metal circle in continuous loops. Possibly the top attraction with families is the Flying Horse ride, which is a dark ride–monorail. Another dark ride, similar to the Indiana Jones Adventure at Disneyland, is called the Sultan’s Adventure, an Intamin high-speed jeep ride. African Safari is a wild safari-themed area, featuring many animal-interactive attractions, as well as many other rides. This area is the gateway to the safari inside Leo foo Village, and can be viewed from a steam train that departs from a station inside the area, or a bus. The top attraction is probably Sahara Twist, an Intamin Twist-and-Turn coaster. The coaster’s layout plunges the riders down and up, through banked turns and down curved inclines. Other attractions include horse riding, horse feeding, and a horse-themed tracked ride and other horse activities. You can see American black bears, Bengal tigers, African lions and baboons while riding on the tour bus. South Pacific is a tropical-themed area, with many thrill rides and exciting attractions. The top attractions are an Intamin Drop Tower, Pagoda’s Revenge, dropping riders from a giant mask back to the ground, and an Intamin log flume called Adventure. Wild West is an old-west-themed area, with numerous live shows, photo spots, and thrills. The centre attraction is an inverted coaster called Screaming Condor, and a slightly less popular attraction, a Vekomacoaster, Little Rattler, themed to an old railroad. Wild West is also the home to the Big Canyon Rapids, a river rapids ride. Janfusun Fancyworld was built in 1986, Janfusun Fancyworld is an amusement park in Gukeng Township, Yunlin County, Taiwan. The park features Sky Wheel, which is Taiwan’s tallest Ferris wheel. Janfusun Fancyworld is the home of the 88-metre (289 ft.) tall Sky Wheel, a giant Ferris wheel, the tallest in Taiwan. It has 50 passenger capsules and offers views across the Plain The park’s roller coasters include Diving Machine G5 and Insane Speed. The Window on China Theme Park is an amusement park in Longtan District, Taoyuan City, Taiwan. A dream to create a magical kingdom, Window On China Theme Park opened on July 7th, 1984. Founder and chairman Chu Chung-hung had been traveling overseas when he came across miniature models of landmark buildings. Window on China Theme Park has its most famous mini world theme park that attracted visitors from all over the world. 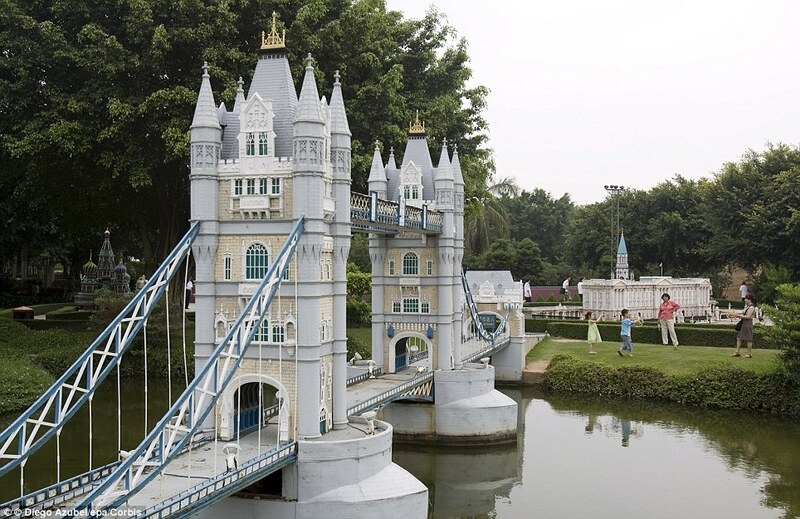 Its mini world theme park had 133 buildings and landmark of the world which include mini Taiwan, mini China, mini Asia, mini Europe and mini America. Window on China Theme Park has been proving its equipment and rides. It really has fun and challenging land and water wonderlands. Outdoor rides include cute Strawberry Wheel, Little Pilot, Jumping Stars, and many more where every child will definitely have a lot of fun all day. Indoor rides include everyone’s favourite Merry-go-round, Wild UFO, Bumper Car, and the only one in Taiwan, an indoor roller coaster. Window on China Theme Park spent billion dollars to build a new water park. This new water wonderland includes a mega water fountain maze slide imported from Canada – the “Water Mania”; the only one around the world, the wild water rafting “Crazy Rapid; over 2000 different power water jets and water-pouring buckets “Thunderstorm”; kids favourite “Baby Captain”, “Family Castle Water Pool”; most thrilling 12-story high on-water roller coaster “Jumbo Wave”; most relaxing “Nile Beach” and many more exciting water facilities that will give you an exceptional cooling blast! E-DA Theme Park is a theme park located is Dashu District, Kaohsiung, Taiwan. 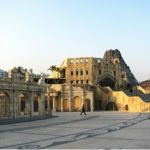 E-DA Theme Park is the only Greek Aegean Sea styled theme park in Taiwan. The three major areas are Acropolis, Mountain City and Trojan Castle. 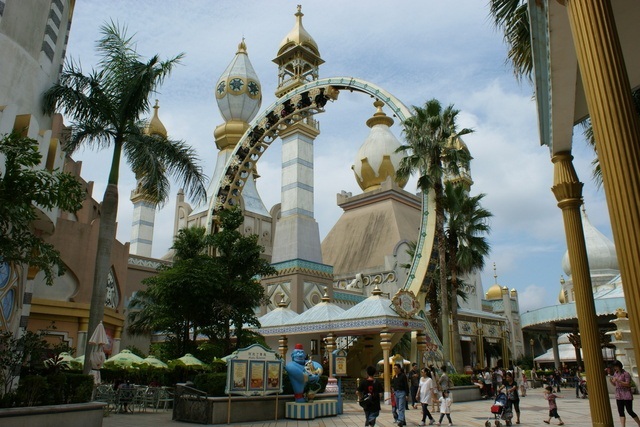 It also has the most exciting attractions, which includes a Monorail running through the park, “Upside Down” an outdoor roller coaster reaching 55 meters, “Flying Over Love Sea” a ride reaching 33 meters, and “Extreme Limit Challenge” the only ride in Asian fashion after a skateboard half-pipe. Acropolis is built based on the ancient Greek sanctuary with a multi-functional theatre. The Royal Theatre is the large national-class performing venue. There are over 1800 premium seats that give the audiences a high class feel. During the day, shows are organized for all visitors in the Theme Park, while at night individuals can purchase tickets only to see the international performances. A journey to the beautiful Santorini Mountain City will give you a complete atmosphere of the Greek islands’ blue and white scenery, and a feeling of just like staying at the romantic atmosphere of an Aegean Sea Village. Within the beautiful sky castle, you can thoroughly enjoy a Greek Style Feast with various kinds of Greek theme restaurants and souvenirs, while at the same time you can relax and take in the beautiful scenes that will surely bring you joy. At Trojan castle, you will be going back in time to the historical scene of Troy. This is the largest family indoor amusement park in Taiwan, which is measured at nearly 50,000 square feet, so you don’t have to worry about the weather condition. In this amazing castle, you’ll find various activities such as the Haunted House, Mini Tug, Flying Tiger as well as the famous play item called “Flying over Formosa”. This is the only flight simulator that lets you fly throughout the country, so you will see the most beautiful scenery of Taiwan. Even though some places are no more due to the nature of irresistible, this video is very unique and exclusive only in E-DA Theme Park. We are sure all of these facilities can meet your family’s needs for fun and also satisfy you with excitement. Taipei Children’s Amusement Park was located at Shilin, Taipei. Slated for opening in 2014, the Taipei Children’s New Amusement Park spotlights 13 more attractions than the old Taipei Children’s Recreation Centre. These facilities include the Fruit Ferris Wheel, Jungle Roar Tree House, Starry Night UFO, Lucky Bumper Cars, Magical Galactic Flying Machines, Missile Chairs, and Space Spinners. The Farglory Ocean Park is a water theme park located in Shoufeng Township, Hulien, Taiwan. The park is Hualien’s biggest man-made tourist attraction, and Taiwan’s first theme park focusing on marine ecology. Hualien Ocean Park features eight zones that introduce different aspects of ocean and marine life. From thrilling water rides, bumper boats, dolphin shows to roller coasters, everyone can have fun in this amusement park. 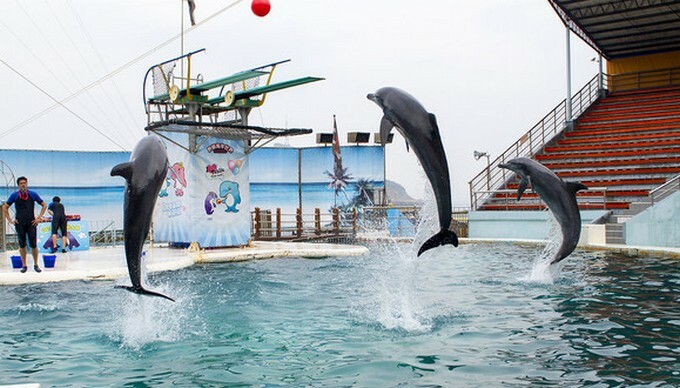 Moreover, visitors will be astonished by dolphin and seal’s amazing acrobatic abilities in the marina shows. The main amusement zone includes the Brighton by the Sea, Crystal Castle, Discovery Island, Dolphin Lagoon, Harbour Square, Main Street, Mariner’s Cove, and Underwater Kingdom. The cable car service is available so it is very convenient for elders and children. With all the fun facilities and shows, it is worth coming for many times. 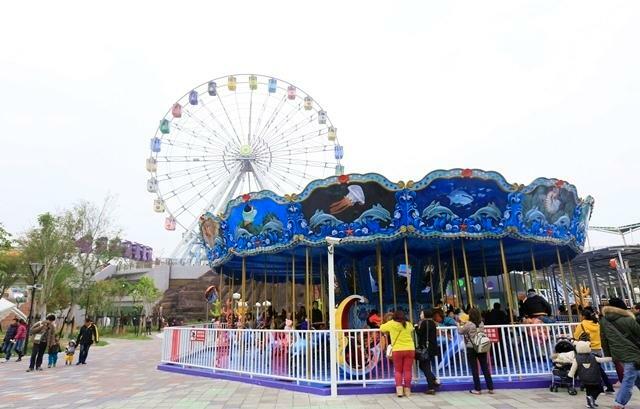 Lihpao Land is an amusement theme park located in Houli District, Taichung. Lihpao Land is the largest double-themed amusement park (Land – Exploration Park; Water – Mala Bay) in Taiwan loved by children and adults. 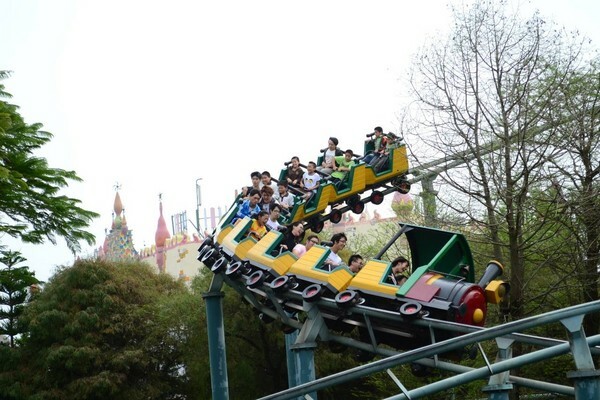 The Land Exploration Park’s popular Earth Rescue ride is the only high altitude broken rail roller coaster in Asia. The 4G gravitational force and high-speed 360-degree track design challenges your senses to the max! 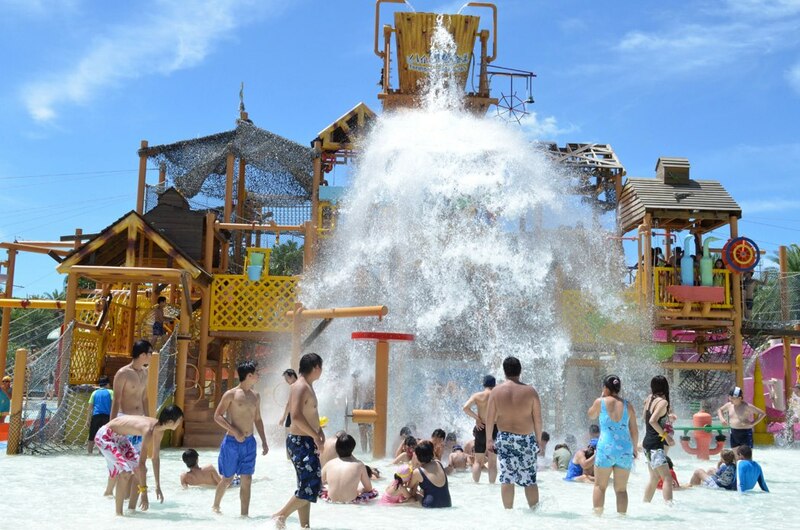 In addition, the Mala Bay Waterpark has been voted the most popular waterpark in Taiwan. Of all the rides in the waterpark, the outdoor Big Tsunami with artificial waves is the most popular. Whether experiencing the 2.4-meter high super fierce waves or floating peacefully in the diamond waves, both are great ways to stay cool during the hot summer. On the other hand, the brand new “Room Escape” theme room is different from other features in the double theme park, injecting new energy to the world of recreation and tourism. The virtual reality background combines 3 major themes, 9 adventures, and movie quality setting and scenes to give players different responsibilities and story lines. Players have 60 minutes to look for clues, break through barriers and enjoy the adventure! The Formosan Aboriginal Culture Village is an amusement park in Yuchi Township, Nantou Country, Taiwan. 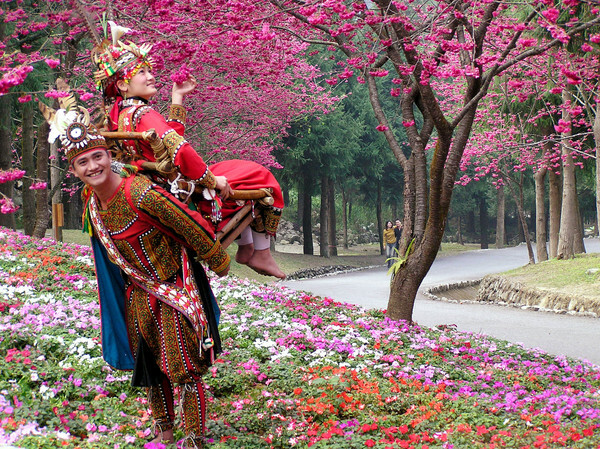 Formosan Aboriginal Culture Village is close to Sun Moon Lake and covers an area of 62 hectares. 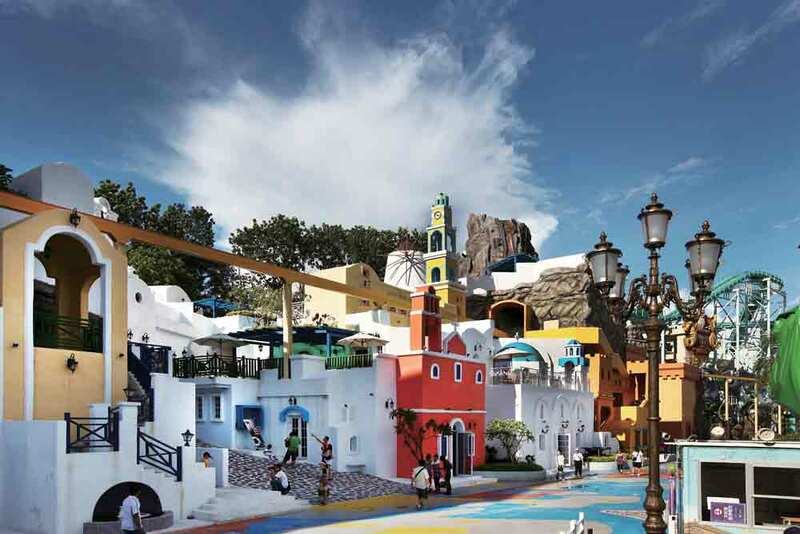 This diverse theme park is suitable for people of all ages, and is divided into 3 main theme areas: European Garden, Joy to the World, and Aboriginal Tribal Areas. The overall layout in the park is perfect. Besides providing an exquisite experience to learn about the aboriginal culture, the park also has the latest thrill rides for visitors of all ages to experience. 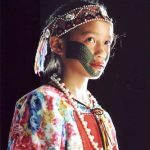 Formosan Aboriginal Culture Village also has the richest and most comprehensive aboriginal cultural displays and dance performances in Taiwan. The exhibitions and presentations of each aboriginal tribe’s architecture, images, food, music, apparel and life are all based on each tribe’s original culture and material. Visitors can experience and enjoy the beauty of various aboriginal cultures through their exquisite traditional arts, performances and cuisines, in the breezy, shaded mountain forest. Coming to Formosan Aboriginal Culture Village is like going to a large Taiwan aboriginal museum. Formosa Fun Coast is a waterpark that boasts the longest water slide in South East Asia. This waterpark features different recreational equipment’s and games for the guests too. It is separated into two parts, Water Amusement Park and Nature World. 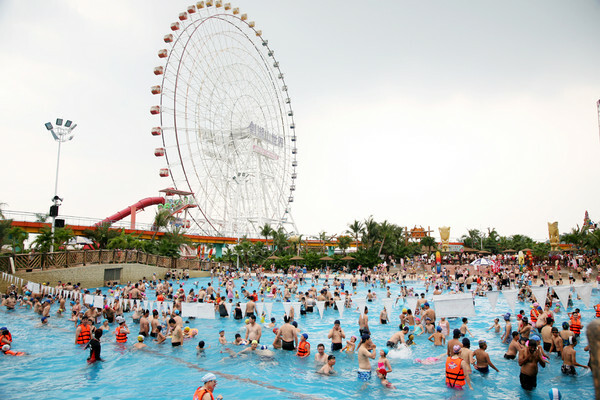 Water Amusement Park contains a 400-meter water slide, and five swimming pools. Yehliu Ocean World is located at the edge of the North Coast and is the first ocean animal theme park in Taiwan. At Ocean Theatre, you can see dolphins and sea lions show off their natural talents at a close distance. They are vivacious and smart, and their high diving and Russian swing performances are amazing. Entering the Marine Exhibition Hall is like taking an expedition to an ocean cave. The hundreds of unique marine organisms you encounter here will enhance your knowledge about life on the bottom of the ocean. Whats up my names Heiko. You need to build a email subscribers list to market your site to, theres floods of powerful content here! I’ll be the first one to subscribe to your list! I’ve been using http://TEARcloud.com which is free for your first 2000 subscribers. I’de love to help you skyrocket your marketing to get you more subscribers! Add me on skype: heiko.viceoffers or send me an email!